MISS ADDAMS ON THE SALOON. 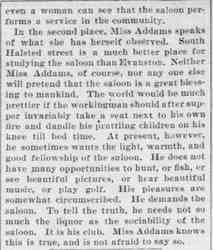 When Miss Jane Addams talks about the saloon a great many people are disappointed. One cannot blame them. They have heard that Miss Addams is a "reformer." They go forth to hear their "reformer," and she makes a speech which to them is anything but reformatory. They expected her to spend her time throwing rhetorical shells into the camp of the Rum Power. Instead of that, she devotes herself to saying what the saloon actually is and does, and to suggesting means by which its power for harm may be abridged. 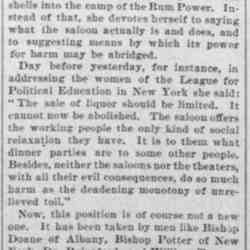 Day before yesterday, for instance, in addressing the women of the League for Political Education in New York she said: "The sale of liquor should be limited. It cannot now be abolished. The saloon offers the working people the only kind of social relaxation they have. It is to them what dinner parties are to some other people. Besides, neither the saloons nor the theaters, with all their evil consequences, do so much harm as the deadening monotony of unrelieved toil." Now, this position is of course not a new one. 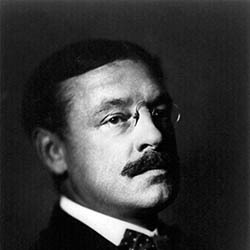 It has been taken by men like Bishop Doane of Albany, Bishop Potter of New York, Dr. Rainsford, and William Travers Jerome. It is materially strengthened, however, when it is occupied by a woman like Miss Addams. This for two reasons. In the first place, it might be supposed that men, being rather coarse-grained, would be inclined to overlook things which to a more fastidious nature would be intolerable. 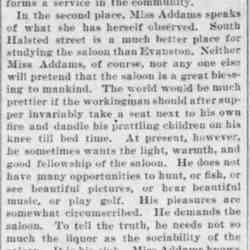 It is well that it should be made clear that [page 2] even a woman can see that the saloon performs a service in the community. In the second place, Miss Addams speaks of what she has herself observed. 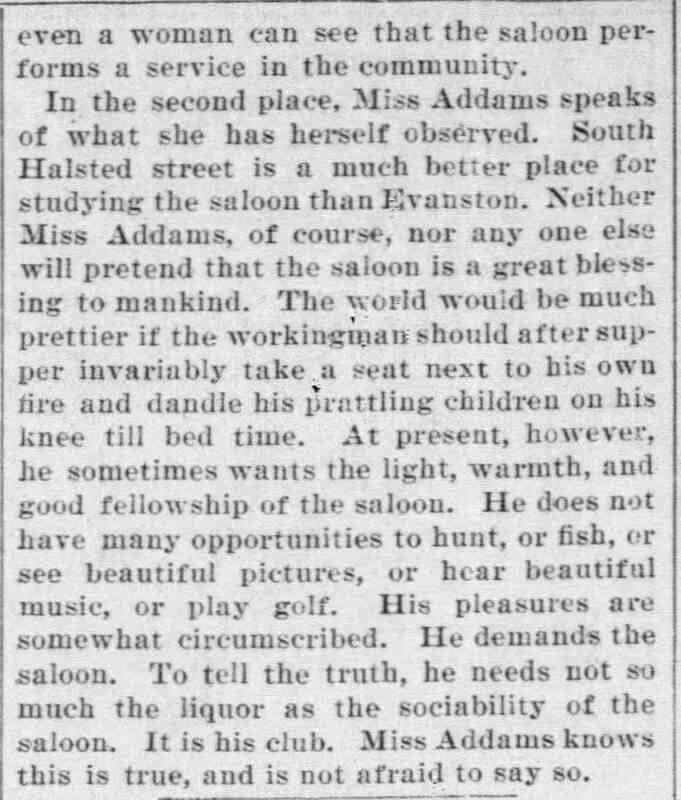 South Halsted Street is a much better place for studying the saloon than Evanston. Neither Miss Addams, of course, nor any one else will pretend that the saloon is a great blessing to mankind. The world would be much prettier if the workingman should after supper invariably take a seat next to his own fire and dandle his prattling children on his knee till bed time. At present, however, he sometimes wants the light, warmth, and good fellowship of the saloon. He does not have many opportunities to hunt, or fish, or see beautiful pictures, or hear beautiful music, or play golf. His pleasures are somewhat circumscribed. He demands the saloon. To tell the truth, he needs not so much the liquor as the sociability of the saloon. It is his club. Miss Addams knows this is true, and is not afraid to say so. 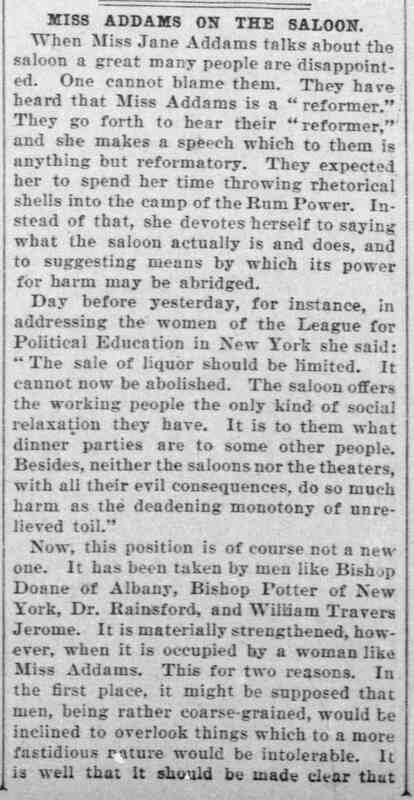 Miss Addams on the Saloon, Chicago Daily Tribune, March 31, 1902, p. 12. Addams, Jane, “Speech to the League for Political Education, March 29, 1902 (excerpt),” Jane Addams Digital Edition, accessed April 22, 2019, https://digital.janeaddams.ramapo.edu/items/show/16834.